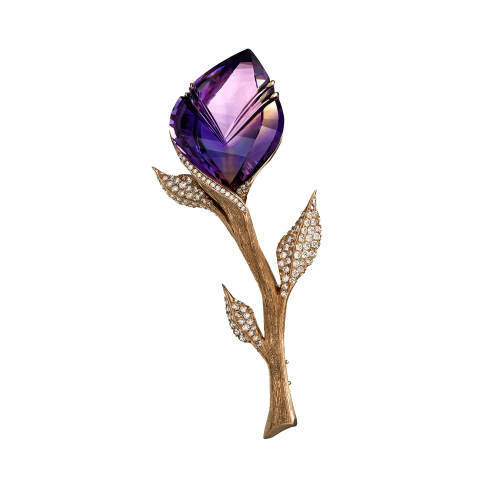 Tricolor Amethyst Brooch with diamonds. Tricolor Amethyst Brooch. 61.18 ct fancy cut tricolor amethyst, 1.25 ct diamonds, set in 18 kt yellow gold.